Available is one of the few lots in Queen Anne's County that permits Single Wide Mobile Homes! This lot is perk approved and ready for you to build your stick built home, modular home, double wide or single wide mobile home. 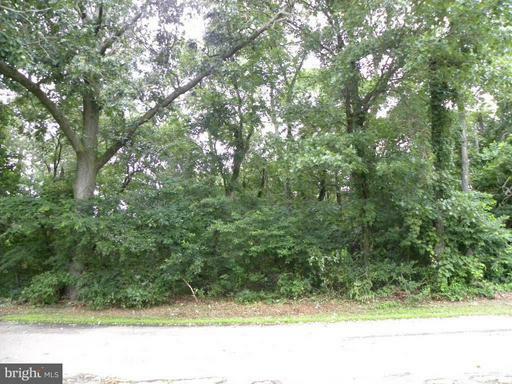 Completely wooded for privacy, corner lot. Can purchase adjoining lot for added investment for a deal on both lots.Buy now while a standard septic system is allowed. Route 301 to Rt. 290 to Crumpton, turn left on Fourth Street, lots will be on right at corner of Pine and Fourth. The approximate monthly Principal & Interest payment for this property would be $153. This payment is based on a 30-year loan at a fixed rate of 4.12 % with a down payment of $3,000. Actual lender interest rates and loan programs may vary.